The expedition was privately financed by the British magazine publisher Sir George Newnes. Borchgrevink's party sailed in the ship Southern Cross, and spent the southern winter of 1899 at Cape Adare, the northwest extremity of the Ross Sea coastline. Here they carried out an extensive programme of scientific observations, although opportunities for inland exploration were severely restricted by the mountainous and glaciated terrain surrounding the base. In January 1900 the party left Cape Adare in Southern Cross to explore the Ross Sea, following the route taken by Ross sixty years earlier. They reached the Great Ice Barrier, where a team of three made the first sledge journey on the Barrier surface, during which a new Farthest South record latitude was established at 78°50′S. On its return to England the expedition was coolly received by London's geographical establishment which was resentful of the pre-emption of a role they envisaged for their own National Antarctic (Discovery) Expedition. There were also questions about Borchgrevink's leadership qualities, and criticism of the limited amounts of scientific information which the expedition provided. Despite the groundbreaking achievements in Antarctic survival and travel, Borchgrevink was never accorded the heroic status of Scott or Shackleton, and his expedition was soon forgotten in the dramas which surrounded these and other Heroic Age explorers. Roald Amundsen, conqueror of the South Pole in 1911, acknowledged that Borchgrevink's expedition had removed the greatest obstacles to Antarctic travel, and had opened the way for all the expeditions that followed. A cartoon depiction of Sir George Newnes. Born in Oslo in 1864 to a Norwegian father and an English mother, Carsten Borchgrevink emigrated to Australia in 1888, where he worked on survey teams in the interior before accepting a provincial schoolteaching appointment in New South Wales. In 1894 he joined a commercial expedition, led by Henryk Bull in the whaler Antarctic, which penetrated Antarctic waters and reached Cape Adare, the western portal to the Ross Sea. A party including Bull and Borchgrevink briefly landed there and claimed to be the first men to set foot on the Antarctic continent—although the American sealer John Davis believed he had landed on the Antarctic Peninsula in 1821. They also visited Possession Island in the Ross Sea, leaving a message in a tin box as proof of their journey. Borchgrevink was convinced that the Cape Adare location, with its huge penguin rookery providing a ready supply of fresh food and blubber, could serve as a base at which a future expedition could overwinter and subsequently explore the Antarctic interior. Borchgrevink was determined to lead such an expedition, and after his return from Cape Adare, he spent much of the next three years in Australia and England seeking financial backing. Despite some encouragement from the Royal Geographical Society (RGS), whose International Congress he addressed in 1895, he was initially unsuccessful. The RGS was harbouring plans of its own for a large-scale National Antarctic Expedition (which eventually transpired as the Discovery Expedition 1901–04) and was in search of funds; Borchgrevink was regarded by RGS president Sir Clements Markham as a foreign interloper and a rival for funding. Borchgrevink persuaded publisher Sir George Newnes (whose business rival Alfred Harmsworth was backing the RGS venture) to meet the full cost of his expedition, some £40,000 (approximately £4,376,700 in 2019). This gift infuriated Markham and the RGS, since Newnes's donation, had it come their way, would have been enough "to get the National Expedition on its legs". Newnes stipulated that Borchgrevink's expedition must sail under the British flag, and be styled the British Antarctic Expedition. Borchgrevink readily agreed to this, even though only two of the entire expedition party were British. This increased the hostility and contempt of Markham, who chastised RGS librarian Hugh Robert Mill for attending the Southern Cross Expedition launch. There, Mill had toasted the success of the expedition in stirring terms, calling it "a reproach to human enterprise" that there were parts of the earth that man had never attempted to reach. He hoped that this reproach would be lifted through "the munificence of Sir George Newnes and the courage of Mr Borchgrevink". 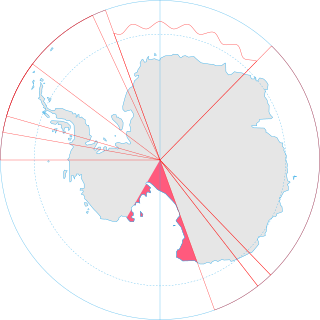 Map of Antarctica, showing (red rectangle) the area of work of the Southern Cross Expedition. Cape Adare is in the bottom right corner of the rectangle; the Ross Ice Shelf, or Great Ice Barrier, is shown mid-rectangle. Borchgrevink's expedition objectives comprised commercial, scientific and geographical goals. He considered forming a company to exploit the extensive guano deposits that he had observed during his 1894–95 voyage, but this came to nothing. In numerous addresses to scientific societies, he stressed the extent of work that could be carried out by a resident expedition, including the possibility of establishing the location of the South Magnetic Pole. The team of scientists that Borchgrevink appointed, though inexperienced, covered a wide range of disciplines—magnetism, meteorology, biology, zoology, taxidermy and cartography. Borchgrevink also hoped that the expedition's scientific achievements could be matched by spectacular geographical discoveries and journeys, even perhaps an attempt on the geographical South Pole itself. With no knowledge of the continent's geography, he was unaware that the site of the base at Cape Adare would rule out any serious exploration of the Antarctic interior. Nicolai Hanson taking sea surface temperature measurements, near the SS Southern Cross. For his expedition's ship, Borchgrevink purchased in 1897 a steam whaler, Pollux, that had been built in 1886 in Arendal on the south east coast of Norway to the design of Colin Archer, the renowned Norwegian shipbuilder. Archer had designed and built Nansen's ship Fram, which in 1896 had returned unscathed from its long drift in the northern polar ocean during Nansen's "Farthest North" expedition, 1893–96. Pollux, which Borchgrevink immediately renamed Southern Cross, was barque-rigged, 520 gross register tons, and 146 feet (45 m) overall length. Southern Cross was taken to Archer's yard in Larvik and fitted out for the expedition. Engines were designed to Borchgrevink's specification, and fitted before the ship left Norway. Although Markham cast doubts on her seaworthiness (perhaps to thwart Borchgrevink's departure), the ship fulfilled all that was required of her in Antarctic waters. Like several of the historic polar ships her post-expedition life was short; she was sold to the Newfoundland Sealing Company, and in April 1914 was lost with all hands in a storm off the Newfoundland coast. The shore party of ten who were to winter at Cape Adare consisted of Borchgrevink, five scientists, a medical officer, a cook who also served as a general assistant, and two dog drivers. Of this party, five were Norwegians, two were English, one was Australian and two, the dog experts, were Samis from Northern Norway, sometimes described in expedition accounts as Lapps or "Finns". Among the scientists was the Tasmanian Louis Bernacchi, who had studied magnetism and meteorology at the Melbourne Observatory. He had been appointed to the Belgian Antarctic Expedition, 1897–99, but had been unable to take up his post; that expedition's ship, Belgica, had failed to call at Melbourne on its way south, leaving Bernacchi stranded. Bernacchi then travelled to London and secured a place on Borchgrevink's scientific staff. His chronicle of the Southern Cross Expedition, which was published in 1901, was critical of aspects of Borchgrevink's leadership, but defended the expedition's scientific achievements. In 1901 Bernacchi went back to Antarctica as a physicist on Scott's Discovery Expedition. Another of Borchgrevink's men who was to serve Scott's expedition (in command of Discovery's relief ship Morning) was Englishman William Colbeck, an experienced seaman who held a lieutenant's commission in the Royal Naval Reserve. In preparation for the Southern Cross Expedition Colbeck had taken a course in magnetism at Kew Observatory. Borchgrevink's assistant zoologist was Hugh Blackwell Evans, a vicar's son from Bristol, who had spent three years on a cattle ranch in Canada and had also been on a sealing voyage to the Kerguelen Islands. The chief zoologist was Nicolai Hanson, a graduate from the University of Christiania. Also in the shore party was Herlof Klovstad, the expedition's medical officer, whose previous appointment had been to a lunatic asylum in Bergen. The others were Anton Fougner, scientific assistant and general handyman; Kolbein Ellifsen, cook and general assistant; and the two Sami dog-handlers, Per Savio and Ole Must. Savio and Must, at 21 and 20 years of age respectively, were the youngest of the party. Borchgrevink later described Savio as "well-known for his faithful character, hardihood and intelligence". The ship's company, under Captain Bernard Jensen, consisted of 19 Norwegian seamen and one Swedish steward. Jensen was an experienced ice navigator in Arctic and Antarctic waters, and had been with Borchgrevink on Bull's Antarctic voyage in 1894–95. Scene from a hut at Camp Ridley, with Fougner, Evan, and Colbeck. The expedition was the first to use dogs in the Antarctic. Southern Cross left London on 23 August 1898, after inspection by HRH the Duke of York (the future King George V), who presented a Union Flag. Along with the expedition's personnel, equipment and provisions the ship was carrying Siberian sledge dogs, the first to be taken on an Antarctic expedition. After final provisioning in Hobart, Tasmania, Southern Cross sailed for the Antarctic on 19 December. She crossed the Antarctic Circle on 23 January 1899, and was then caught in the pack ice for three weeks. Cape Adare was sighted on 16 February, and the following day the ship was anchored close to the shore. Cape Adare had been discovered by Antarctic explorer James Clark Ross during his 1839–43 expedition. It lies at the end of a long promontory; below the Cape is a large triangular shingle foreshore, where Bull and Borchgrevink had made their brief landing in 1895. This foreshore is the site of one of the largest Adelie penguin rookeries on the entire continent and, as Borchgrevink had remarked in 1895, "On this particular spot, there is ample room for houses, tents and provisions". The abundance of penguins would provide both a winter larder and a fuel source. Unloading began on 17 February. First ashore were the 75 dogs, with their two Sami handlers, who remained with them and thus became the first men to spend a night on the Antarctic continent. During the next twelve days the rest of the equipment and supplies were landed, and two prefabricated huts were erected, one as living quarters and the other for storage. These were the first buildings erected on the continent. A third structure was contrived from spare materials, to serve as a magnetic observation hut. As accommodation for ten men the "living hut" was small and cramped, and seemingly precarious—Bernacchi later described it as "fifteen feet square, lashed down by cables to the rocky shore". The dogs were housed in kennels fashioned from packing cases. By 2 March the base, christened "Camp Ridley" after Borchgrevink's English mother's maiden name, was fully established, and the Duke of York's flag raised. That day, Southern Cross departed for Australia, to spend the winter there. Inside the living hut were two small ante-rooms, one used as a photographic darkroom, the other for taxidermy. Within the main accommodation area daylight was admitted via a double-glazed and shuttered window and through a small square pane high on the northern wall. Bunks were fitted around the outer walls, and a table and stove dominated the centre of the hut. During the few brief weeks before winter set in, members of the party made trial sledging journeys on the sea ice in nearby Robertson Bay, during which they surveyed the coastline and collected specimens of birds and fish. They also slaughtered seals and penguins for food and fuel. Outside activities were largely curtailed in mid-May, with the onset of severe winter weather. As the winter season took hold, the party was almost completely restricted to the cramped living quarters. This proved to be a difficult time; Bernacchi wrote of rising boredom and irritation: "Officers and men, ten of us in all, found tempers wearing thin". During this period of tension and confinement, Borchgrevink's qualities as a commander were found wanting; he was, wrote Bernacchi, "in many respects ... not a good leader". Polar historian Ranulph Fiennes writes that in conditions of "democratic anarchy", dirt, disorder and inactivity were the order of the day. Borchgrevink was not a trained scientist, and his incompetence with equipment and inability to make simple observations were reportedly of great concern to some of the party. A programme of scientific observations was maintained, exercise was taken outside the hut when the weather permitted, and as a further diversion Savio improvised a sauna in the snowdrifts alongside the hut. A concert was arranged, including lantern slides, songs and readings. During this time there were two near-fatal incidents; in the first, a candle left burning beside a bunk set fire to the hut and caused extensive damage. In the second, three of the party were nearly asphyxiated by coal fire fumes as they slept. The party was well-supplied with a variety of basic foodstuffs—butter, tea and coffee, herrings, sardines, cheeses, soup, tinned tripe, plum pudding, dry potatoes and vegetables. There were soon complaints about the lack of luxuries, Colbeck noting that "all the tinned fruits supplied for the land party were either eaten on the passage or left on board for the [ship's] crew". There was also a shortage of tobacco, in spite of an intended provision of half a ton (500 kg); only a quantity of chewing tobacco was landed. Crew of the Southern Cross Expedition at Nicolai Hanson's grave. The zoologist, Nicolai Hanson, had fallen ill during the winter. On 14 October 1899 he died, apparently of an intestinal disorder, and became the first person to be buried on the Antarctic continent. The grave was dynamited from the frozen ground at the summit of the Cape. Bernacchi wrote: "There amidst profound silence and peace, there is nothing to disturb that eternal sleep except the flight of seabirds". Hanson left a wife, and a baby daughter born after he left for the Antarctic. As winter gave way to spring, the party prepared for more ambitious inland journeys using the dogs and sledges. Their base camp was cut off from the continent's interior by high mountain ranges, and journeys along the coastline were frustrated by unsafe sea ice. These factors severely restricted their exploration, which was largely confined to the vicinity of Robertson Bay. Here, a small island was discovered, which was named Duke of York Island, after the expedition's patron. A few years later this find was dismissed by members of Scott's Discovery Expedition, who claimed that the island "did not exist", but its position has since been confirmed at 71°38′S, 170°04′E. On 28 January 1900 Southern Cross returned to Cape Adare from Australia. Borchgrevink began dismantling the camp and taking its remaining supplies on board, but soon abandoned this; on 2 February he took the ship south into the Ross Sea. Evidence of a hasty and disorderly departure from Cape Adare was noted two years later, when the site was visited by members of the Discovery Expedition, after which Edward Wilson wrote; "... heaps of refuse all around, and a mountain of provision boxes, dead birds, seals, dogs, sledging gear ... and heaven knows what else". Southern Cross's first port of call on the Ross Sea voyage was Possession Island, where the tin box left by Borchgrevink and Bull in 1895 was recovered. They then proceeded southwards, following the Victoria Land coast and discovering further islands, one of which Borchgrevink named after Sir Clements Markham, whose hostility towards the expedition was evidently unchanged by this honour. Southern Cross then sailed on to Ross Island, observed the volcano Mount Erebus, and attempted a landing at Cape Crozier, at the foot of Mount Terror. Here, Borchgrevink and Captain Jensen were almost drowned by a large wave caused by a calving or breakaway of ice from the adjacent Great Ice Barrier. Following the path of James Clark Ross sixty years previously, they proceeded eastwards along the Barrier edge, to find the inlet where, in 1843, Ross had reached his farthest south. Observations indicated that the Barrier edge had moved some 30 statute miles (50 km) south since Ross's time, which meant that the ship were already south of Ross's record. Borchgrevink was determined to make a landing on the Barrier itself, and in the vicinity of Ross's inlet he found a spot where the ice sloped sufficiently to suggest that a landing was possible. On 16 February he, Colbeck and Savio landed with dogs and a sledge, ascended to the Barrier surface, and then journeyed a few miles south to a point which they calculated as 78°50′S, a new Farthest South record. They were the first persons to travel on the Barrier surface, earning Amundsen's approbation: "We must acknowledge that, by ascending the Barrier, Borchgrevink opened the way to the south, and threw aside the greatest obstacle to the expeditions that followed". Close to the same spot ten years later, Amundsen would establish his base camp "Framheim", prior to his successful South Pole journey. On its passage northward, Southern Cross halted at Franklin Island, off the Victoria Land coast, and made a series of magnetic calculations. These indicated that the location of the South Magnetic Pole was, as expected, within Victoria Land, but further north and further west than had previously been assumed. The party then sailed for home, crossing the Antarctic Circle on 28 February. On 1 April, news of their safe return was sent by telegram from Bluff, New Zealand. Mount Melbourne, on Victoria Land, at the foot of which Borchgrevink discovered "an excellent camping place"
Southern Cross returned to England in June 1900, to a cool welcome. In geographical circles there was still resentment at Borchgrevink's coup in obtaining the backing of Newnes, but public attention was, in any event, distracted by the preparations for the upcoming Discovery Expedition, due to sail the following year. Borchgrevink meanwhile pronounced his voyage a great success, stating: "The Antarctic regions might be another Klondyke"—in terms of the prospects for fishing, sealing, and mineral extraction. He had proved that it was possible for a resident expedition to survive an Antarctic winter, and had made a series of geographical discoveries. These included new islands in Robertson's Bay and the Ross Sea, and the first landings on Franklin Island, Coulman Island, Ross Island and the Great Ice Barrier. The survey of the Victoria Land coast had revealed the "important geographical discovery ... of the Southern Cross Fjord, as well as the excellent camping place at the foot of Mount Melbourne". The most significant exploration achievement, Borchgrevink thought, was the scaling of the Great Ice Barrier and the journey to "the furthest south ever reached by man". Borchgrevink's account of the expedition, First on the Antarctic Continent, was published the following year; the English edition, much of which may have been embroidered by Newnes's staff, was criticised for its "journalistic" style and for its bragging tone. The author, whom commentators recognised was "not known for either his modesty or his tact", embarked on a lecture tour of England and Scotland, but the reception was generally poor. Hugh Robert Mill stated that while the scientific results of the expedition were not so great as expected, many of Hanson's notes having mysteriously disappeared, the expedition was "interesting as a dashing piece of scientific work". The meteorological and magnetic conditions of Victoria Land had been recorded for a full year; the location of the South Magnetic Pole had been calculated (though not visited); samples of the continent's natural fauna and flora, and of its geology, had been collected. Borchgrevink also claimed the discovery of new insect and shallow-water fauna species, proving "bi-polarity" (existence of species in proximity to the North and South poles). The geographical establishments in Britain and abroad were slow to give formal recognition to the expedition. The Royal Geographical Society gave Borchgrevink a fellowship, and other medals and honours eventually followed from Norway, Denmark and the United States, but the expedition's achievements were not widely recognised. Markham persisted in his attacks on Borchgrevink, describing him as cunning and unprincipled; Amundsen's warm tribute was a lone approving voice. Scott's biographer David Crane surmises that if Borchgrevink had been a British naval officer, his expedition would have been treated differently in Britain, but "a Norwegian seaman/schoolmaster was never going to be taken seriously". A belated recognition came in 1930, long after Markham's death, when the Royal Geographical Society presented Borchgrevink with its Patron's Medal. 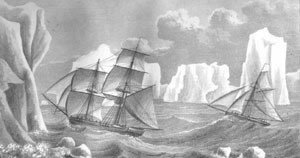 It admitted that "justice had not been done at the time to the pioneer work of the Southern Cross expedition", and that the magnitude of the difficulties it had overcome had previously been underestimated. After the expedition, Borchgrevink lived quietly, largely out of the public eye. He died in Oslo on 21 April 1934. ^ a b c d "Borchgrevink, Carsten Egeberg (1864–1934)". Australian Dictionary of Biography Online Edition. Retrieved 10 August 2008. ^ a b c d e f "Norway's Forgotten Explorer". Antarctic Heritage Trust. Archived from the original on 20 November 2009. Retrieved 10 August 2008. ^ "An Antarctic Timeline". South-pole.com. Retrieved 29 August 2008. ^ "Measuringworth". The Institute for the Measurement of Worth. Retrieved 19 August 2008. ^ a b Jones, pp. 59–60. Another member of the shore party, Louis Bernacchi, was Australian; the remainder were all Scandinavian. ^ a b "The Forgotten Expedition". Antarctic Heritage Trust. Archived from the original on 20 November 2009. Retrieved 10 August 2008. ^ a b c "The Forgotten Expedition". Antarctic Heritage Trust. Retrieved 13 August 2008. ^ "USGS Geographic Names Information System (GNIS)". United States Geographic Survey. Retrieved 18 August 2008. ^ "What Of Borchgrevink And The Southern Cross?". University of Canterbury, New Zealand. Amundsen, Roald (1976). The South Pole: Vol. I. London: C. Hurst & Co. ISBN 0-903983-47-8. Borchgrevink, Carsten (1901). First on the Antarctic Continent. George Newnes Ltd. ISBN 978-0-905838-41-0. Retrieved 11 August 2008. Crane, David (2005). Scott of the Antarctic. London: HarperCollins. ISBN 0-00-715068-7. Harrowfield, David. "The Southern Cross Expedition". www.anta.canterbury.ac.nz. Retrieved 10 August 2008. Huxley, Elspeth (1977). Scott of the Antarctic. London: Weidenfeld and Nicolson. ISBN 0-297-77433-6. Paine, Lincoln P. (2000). Ships of Discovery and Exploration. Boston: Mariner Books. ISBN 0-395-98415-7. Wilson, Edward A. (1973). Diary of the Discovery Expedition. London: Blandford Press. ISBN 0-7137-0431-4. Wikimedia Commons has media related to Southern Cross Expedition. Louis Charles Bernacchi, a physicist and astronomer, is best known for his role in several expeditions to the Antarctic. The Transantarctic Mountains comprise a mountain range of uplifted sedimentary rock in Antarctica which extend, with some interruptions, across the continent from Cape Adare in northern Victoria Land to Coats Land. These mountains divide East Antarctica and West Antarctica. They include a number of separately named mountain groups, which are often again subdivided into smaller ranges. This is a timeline of the history of New Zealand's involvement with Antarctica. William Colbeck was a British seaman who distinguished himself on two Antarctic expeditions. Nicolai Hanson was a Norwegian zoologist and Antarctic explorer. Nicolai Hanson was a member of the Southern Cross Expedition led by Carsten Borchgrevink to Antarctica and he became the first person to be buried in Antarctica. The Borchgrevink Coast is that portion of the coast of Victoria Land between Cape Adare and Cape Washington. The name was recommended by New Zealand Antarctic Place-Names Committee in 1961 after Carsten Borchgrevink, a member of Henrik Johan Bull's expedition to this area, 1894–95, and leader of the British Antarctic Expedition, 1898–1900, the first to winter on the continent, at Cape Adare.